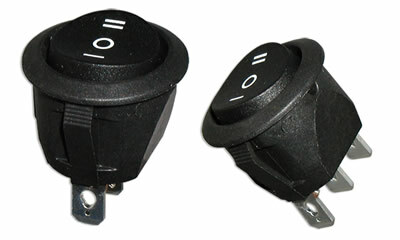 The RR1 Series round rocker switch is round in shape and miniature in size. SPST or SPDT with multiple latching options, the RR1 Series offers .187? quick connect/solder lug termination. 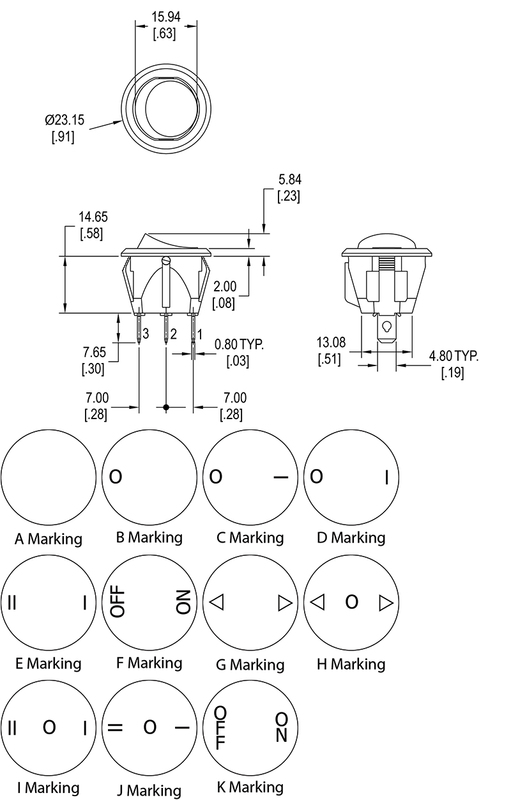 With multiple actuator marking options, the RR1 offers numerous actuator and actuator marking color options.